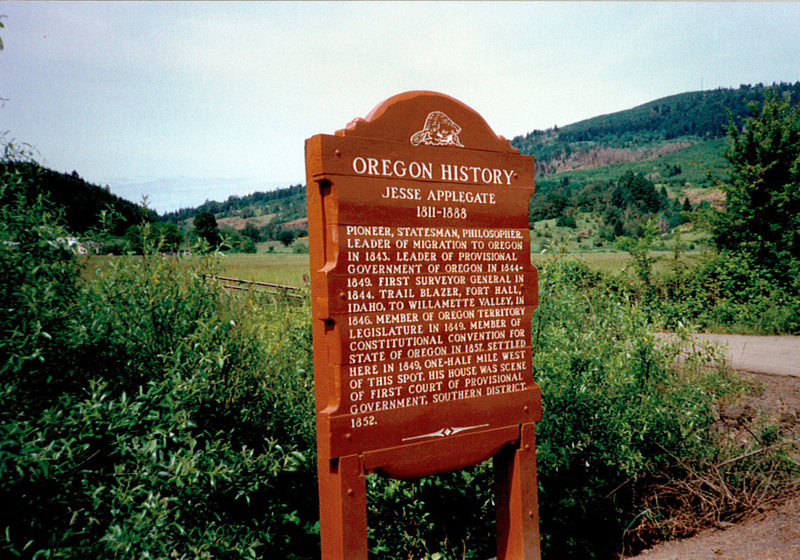 Subject: Homestead of Jesse Applegate, pioneer, statesman, and philosopher. Pioneer, statesman, philosopher. 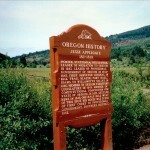 Leader of migration to Oregon in 1843. Leader of Provisional Government of Oregon in 1844-1849. First Surveyor General in 1844. Trailblazer, Fort Hall, Idaho, to Willamette Valley, in 1846. Member of Constitutional Convention for State of Oregon in 1857. Settled here in 1849, one-half mile west of this spot. His house was scene of first Court of Provisional Government, Southern District, 1852.